The tiniest of gardens abounds with summer colors amidst the vast glacial expanses of some of Alaska's most wild and stormy mountains. 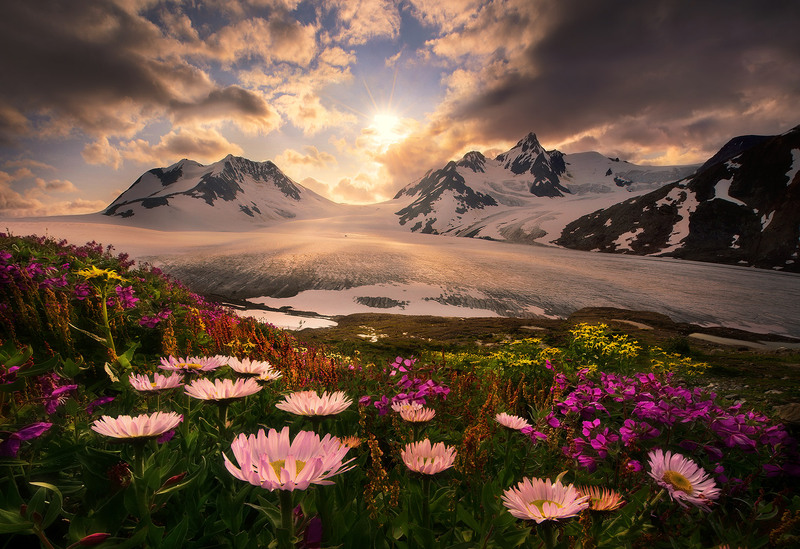 I spent 35 days here in 2012 crossing this range on foot, this taken near mid-route. . Photo © copyright by Marc Adamus.